Exquisite Oceanfront 2bed+den/3baths Luxury Residence at One of Ritz-Carltonâs finest Residences- the Extravagant One Bal Harbour- set along the Pristine Semi-Private Beach Overlooking the Atlantic Ocean Elevator into your Private Foyer 2,221SF Open Layout,Marble Floors throughout,breathtaking Ocean&Beach Views fr Every Room.Gourmet Kitchen built in Miele Espresso Machine, Wolf Gas Range Stove, Sub Zero Fridge & Wine Cooler & Custom Wood Cabinetry. Master Suite w Balcony Access, Spacious Bath w Dual Sinks,Separate Tub&Shower. A Full Service Luxury Building offering opulent Ritz-Carlton World Class 5 Star Services & Amenities. 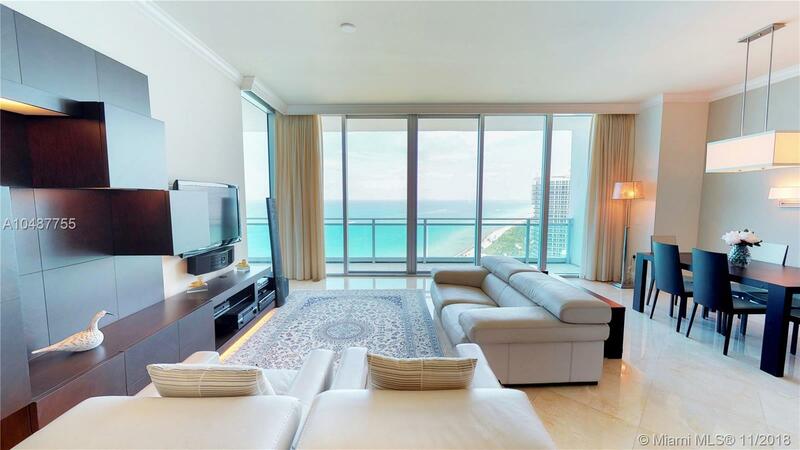 Walking distance to the Fashion Mecca of Famed Designer Boutiques of Bal Harbour Shops - This is definitely an Unique Opportunity. Matterport 3D Video link below.